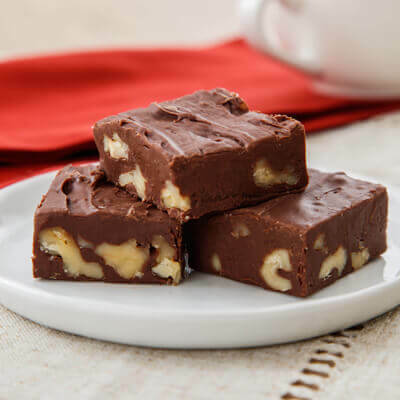 Just a few ingredients, and a little time, go into this simple to prepare easy chocolate fudge! LINE 8- or 9-inch square baking pan with foil. SPREAD evenly into prepared baking pan. Refrigerate for 2 hours or until firm. Lift from pan; remove foil. Cut into 48 pieces.